These Bommer cluster mailboxes are not USPS approved but they can be utilized for private mail distribution and as collection boxes for many types of printed materials as well as small packages. 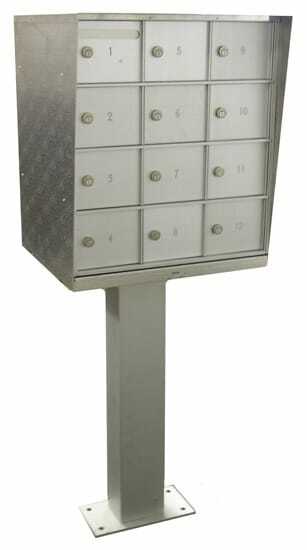 Constructed of corrosion resistant extruded aluminum framing and doors, Bommer cluster mailboxes provide exceptional strength and security. 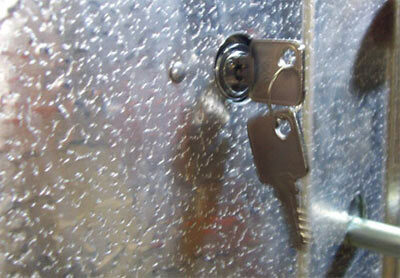 The rear hinged master door allows access to all mailbox compartments at once when loading mail. 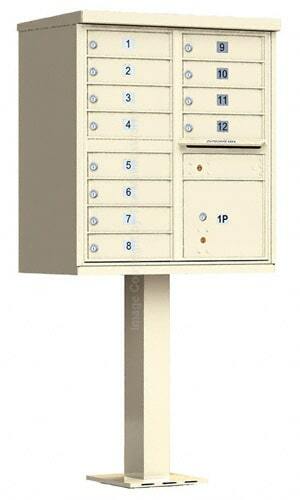 Cluster mailbox compartments have double walls and are fabricated of extruded and sheet aluminum. 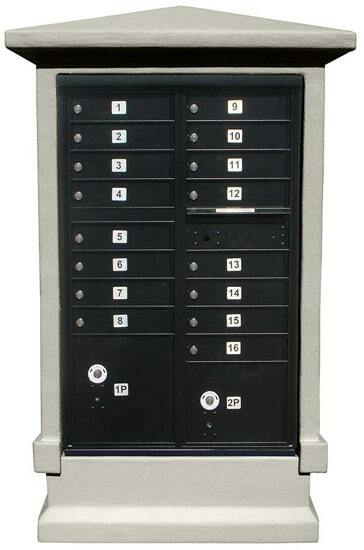 The mailbox doors are engraved 1-12 with a convertible slot in the upper left door. 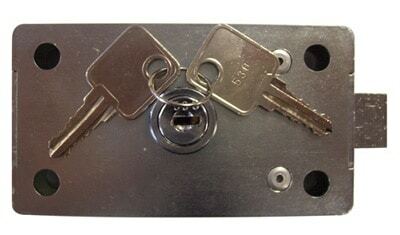 An optional private master lock is available to secure the rear doors when a postal lock is not used. 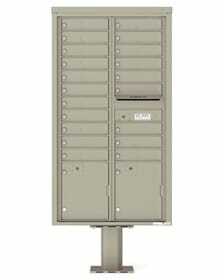 These Bommer cluster mailboxes 12 doors are non-returnable and have been decertified by the US Postal Service. 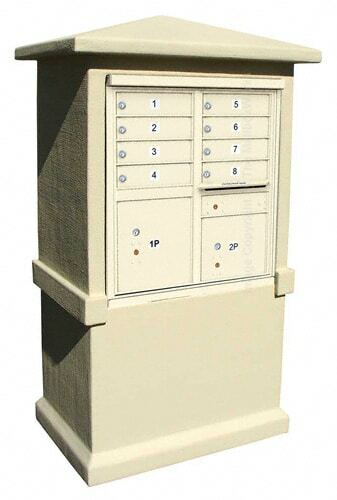 Bummer mailboxes may only be used to replace existing pedestal mailboxes of the same style but must be first approved by your postmaster. For more information or for assistance with ordering Bommer cluster mailboxes please call us or chat with a customer care rep if you have any questions.